An interdisciplinary education gives students a breadth and depth of scope that makes them adaptable, and ready for whatever the working world throws at them. As students prepare themselves for careers that haven’t been created yet, adaptability and soft skills like communication and networking might be the unsung heroes of higher education. 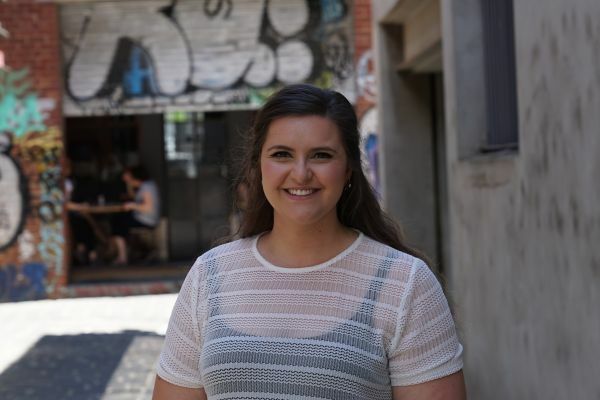 For born and bred Melburnian, Kristen Goulopoulos, studying at the University of Melbourne was always a consideration. Once she set foot on campus, the deal was sealed. Kristen enrolled in the Bachelor of Arts, a choice grounded in her love of literature and history. It gave her the chance to study subjects like “Gothic Literature” and “Witches and Witch Hunting in Europe”, as well as an opportunity to hone her writing skills and instilling in her an understanding of Australia’s cultural identity. Upon graduation from her Arts degree Kristen decided to continue her studies, this time in the world of business. So, Kristen enrolled in the Master of Management (Marketing), a course that drew on her humanities background, and gave her the technical skills she needed for a career in marketing. From the get-go, her interdisciplinary background proved to be both unique and valuable. Since graduating in 2014, Kristen has established herself as a talented and creative marketer, beginning with an internship at L’Oréal, and following roles at the Committee for Economic Development of Australia (CEDA), Playgro, and most recently De Bortoli Wines, a role that has seen her working largely in the digital and social media space. It’s a diversity of experience that has emphasised the importance of her time in university.